Every former Hajji has their own unique story. Tales of the days they were blessed to spend on this sacred journey, so beloved that even the struggles and discomfort they faced are not enough to discourage them from wanting to return. At this time of year, that yearning grows stronger. So, what can they do about this? Remember the serenity of Madinah, and how amazing it was to pray in the Rawdah – right next to the Prophet’s grave? Do you recall the awe of the first time you saw the Ka’bah, and how grateful you felt as you made tawaaf – being so close to the center of the Islamic universe? How about the simplicity of your ihraam garments, along with the peace of mind as you made your way to Mina for the first time? And you definitely can’t forget the intensely desperate dua you made on Arafah during wuqoof – where you stood among millions, but remained in deep, intimate connection with your Creator. 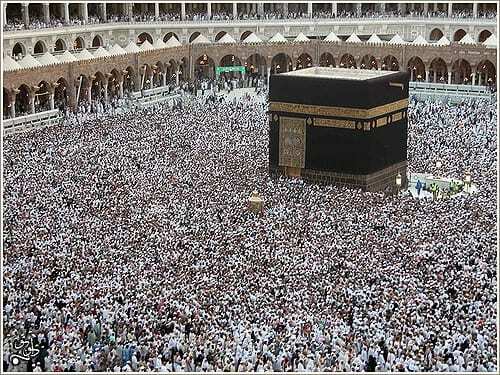 And what of the ecstasy you felt when the physical exertions had subsided, and it finally sunk in that you had completed the main pillar of Hajj? When you felt completely pure of sin – as clean as a newborn. Now, turn those emotions into action! There are incredible memories each of us who went to Hajj experienced, but a memory alone won’t take us back for Hajj. It’s only Allah’s invitation that will open our path to return. To earn that invitation, we need to truly show gratitude for what He gave us. Allah tells us in the Qur’an, “And [remember] when your Lord proclaimed, ‘If you are grateful, I will surely increase you [in favor]…” [Qur’an: Chapter 14: Verse 7]. However, true appreciation does not come from lip service. It is manifested in action – trying to live that Hajj by striving to be close to Allah , and being the best we can be. Maybe all the good intentions and plans we made while on Hajj have been buried under the dust of life’s everyday struggles. However, it is not too late. We are blessed with this sacred season to remind us of those aspirations. We are reinvigorated by the experiences of this year’s honored guests of Allah . We feel it again. We want it again, and we make the intention that, in sha Allah, we will try again. Therefore, to all the former Hujjaaj, don’t waste these feelings. Use the momentum of this Hajj season. Take these emotions and turn them into something practical that will benefit you on your mission to live the Hajj spirit until you die. Whether you had planned to make major changes in your life, or you just aimed to be a little better, remember those goals you made when you were in your purest state. It is not always straightforward, though. Perhaps your life’s circumstances have changed dramatically – such that your post-Hajj ambitions are no longer realistic. If so, do not fret. It simply means you need to take some time, analyze your life, and come up with new goals. Goals that are perhaps different, but still in line with the spirit of the post-Hajj ambitions you had after your return. So, let us renew our commitments and find something small – at the very least – that we can do; whether that’s the adoption of some new good deed, or the dropping of something harmful or useless. With sincere intentions, dedicated efforts, and the help of Allah, in sha Allah, each passing year – each passing Hajj season – will see us getting better and better. And in sha Allah when we get another chance to go back for Hajj, our next ambitions and plans for life after Hajj will push us to even greater heights for our remaining years in this world and beyond. If you are former Hujjaaj, let us know your thoughts on this article in the comments section. Also, keep an eye out for Part 2 of this series which will provide a personal plan to make the best of Dhul Hijjah while at home.